Welcome to Kings Bay Apartments. 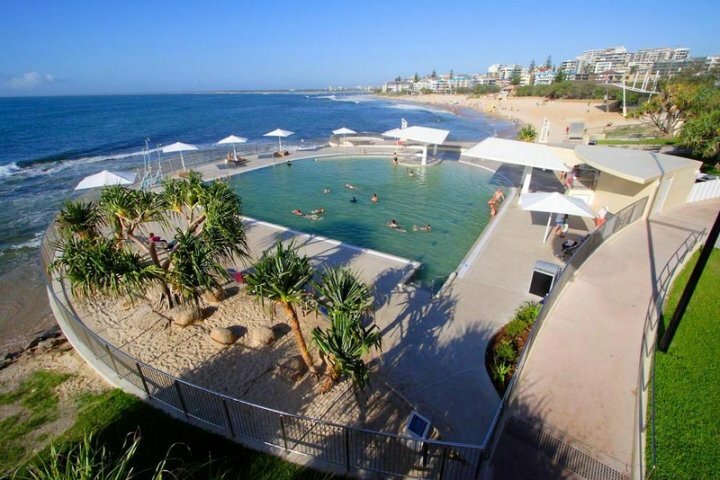 Fabulous and affordable apartments only 200 metres from Kings Beach - Home of Caloundra's premier beach & seaside attraction. Kings Bay Apartments offer stylish & comfortable 2 & 3 bedroom apartments plus deluxe and luxury penthouses featuring private roof top BBQ patios and magnificent ocean views. 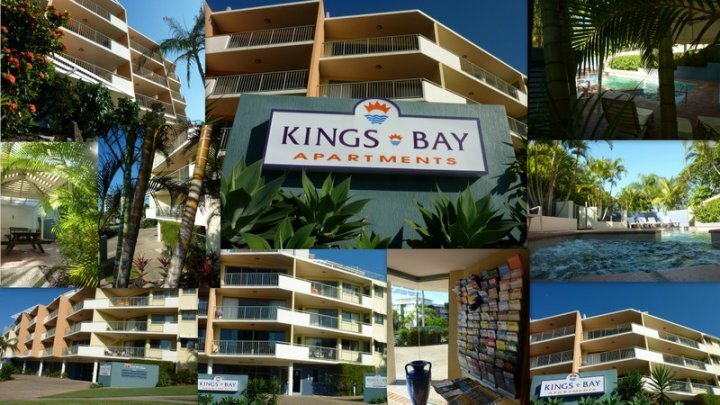 Kings Bay Apartments rated AAA 4 star, are affordable and designed with the holidaymaker in mind. They are fully self-contained with full kitchen and laundry facilities, ensuite, separate bathroom and toilet and full linen service. Apartments are open plan living with sliding doors leading out to a private balcony to enjoy the sea breezes. All apartments have a TV, DVD player and most apartments have a 2nd TV in the main bedroom. The building has Wireless Broadband. 2 Bedroom Delux Apartment - Queen bed in main bedroom with ensuite, 2 singles in second bedroom. Roomy self contained apartment with laundry facilities, separate bathroom and toilet, ensuite, full linen service. Large balcony off lounge. Heated swimming pool and spa, barbeque area and secure basement parking. 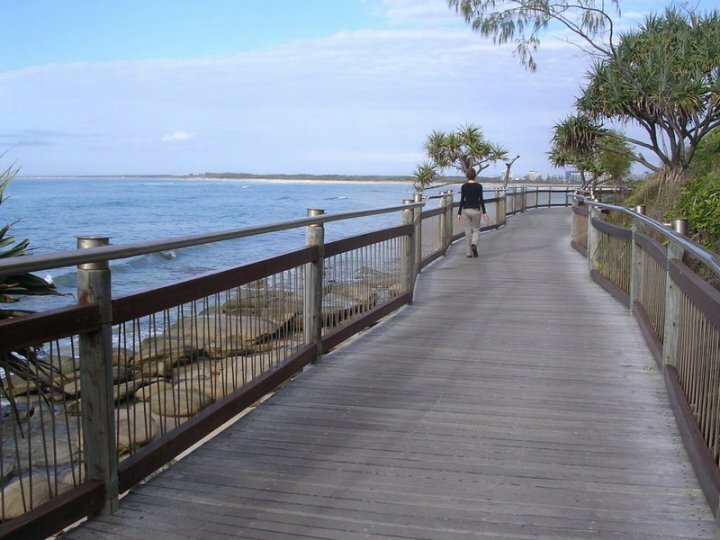 2 minute walk to Kings Beach, childrens play grounds, cafes and restaurants. Queen bed in main bedroom with ensuite, Queen bed in second bedroom. 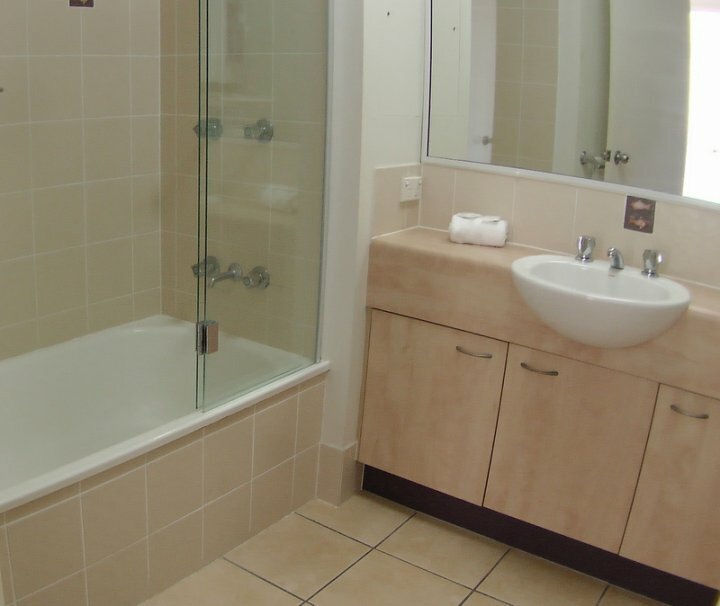 Roomy self contained apartment with laundry facilities, separate bathroom and toilet, ensuite, full linen service. Large balcony off lounge. 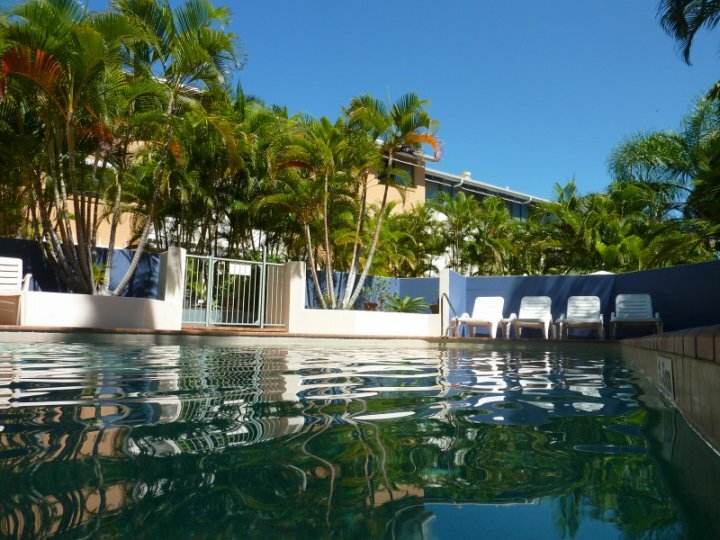 Heated swimming pool and spa, barbeque area and secure basement parking.2 minute walk to Kings Beach, childrens play grounds, cafes and restaurants. This roomy self contained apartment is on the first floor with a balcony at the front and a lovely court yard at the rear. Has a Queen bed in main bedroom with ensuite and a bunk bed in second bedroom. With laundry facilities, separate bathroom and toilet, full linen service. Large balcony off lounge. Heated swimming pool and spa, barbeque area and secure basement parking.2 minute walk to Kings Beach, childrens play grounds, cafes and restaurants. 2 Bedroom Delux Apartment - Full kitchen and laundry facilities, separate bathroom and toilet, ensuite, full linen service. Heated swimming pool and spa, barbeque area and secure basement parking. 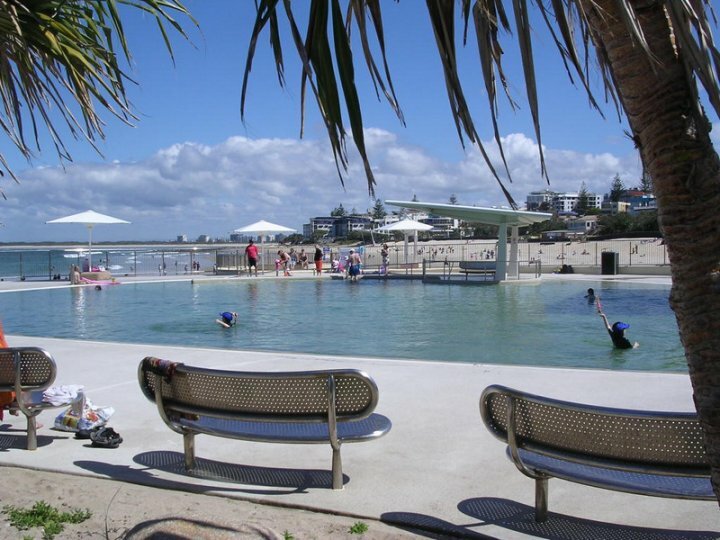 We are just a 2 minute walk to Kings Beach, childrens play grounds, cafes and restaurants. 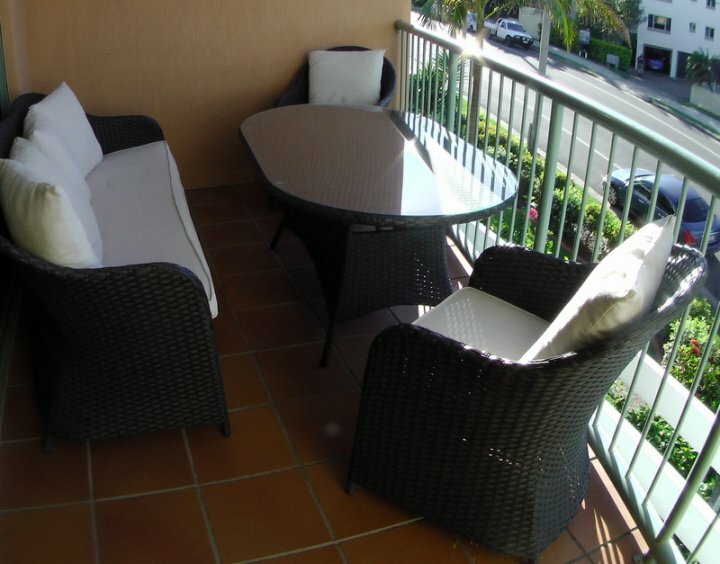 2 Bedroom Penthouse Apartment - Beautiful Ocean views, has its own roof top BBQ Area. - Queen bed in main bedroom with ensuite, 2 singles in second bedroom. Roomy self contained apartment with laundry facilities, separate bathroom and toilet, ensuite, full linen service. Large balcony off lounge. Heated swimming pool and spa, barbeque area and secure basement parking. 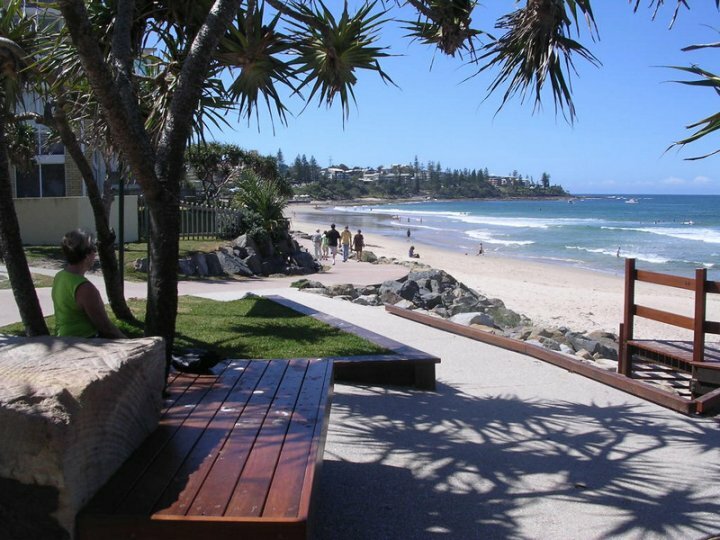 2 minute walk to Kings Beach, childrens play grounds, cafes and restaurants. 3 Bedroom Delux Apartment - Queen bed in main bedroom with ensuite, double bed in second bedroom, 2 singles in third bedroom. Roomy self contained apartment with laundry facilities, separate bathroom and toilet, ensuite, full linen service. Large balcony off lounge. Heated swimming pool and spa, barbeque area and secure basement parking. 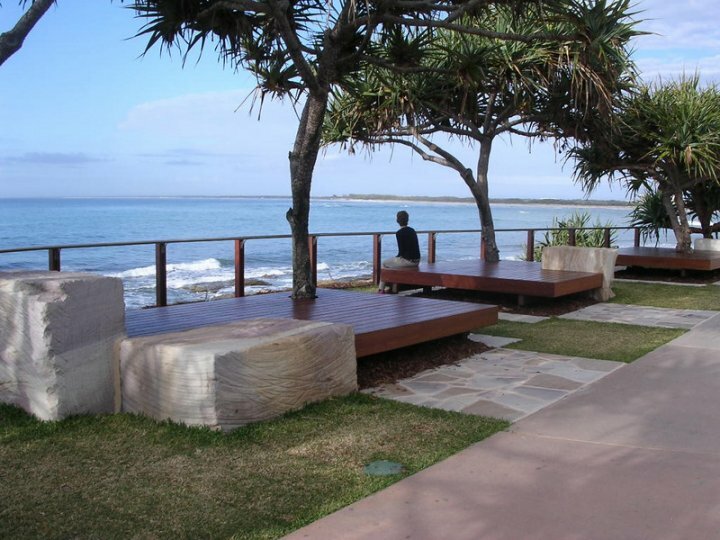 2 minute walk to Kings Beach, childrens play grounds, cafes and restaurants. 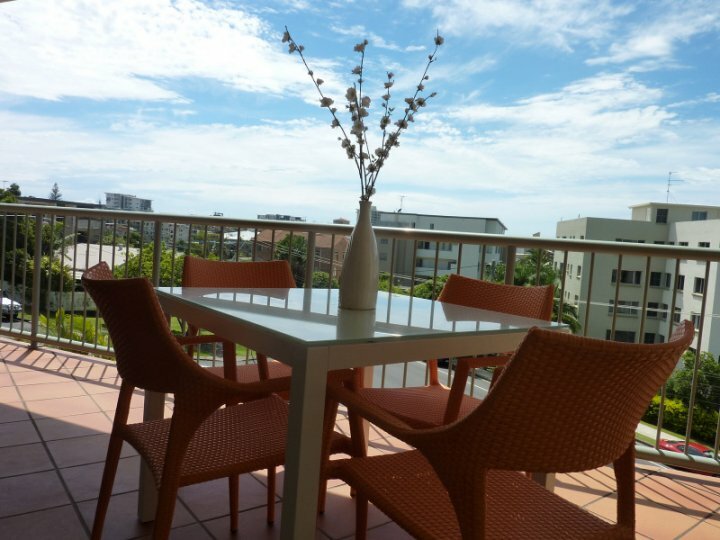 3 Bedroom Penthouse - Beautiful Ocean Views, has its own roof top BBQ area - Queen bed in main bedroom with ensuite, double bed in second bedroom, 2 singles in third bedroom. Roomy self contained apartment with laundry facilities, separate bathroom and toilet, ensuite, full linen service. Large balcony off lounge. Heated swimming pool and spa, barbeque area and secure basement parking. 2 minute walk to Kings Beach, childrens play grounds, cafes and restaurants. Check-In is from 200pm to 5.00pm. Phone to arrange for an early check-in (subject to availibility) or after 5.00pm check in.